In addition to the obvious positive environmental impacts of choosing public transportation over a car, there are a number of other reasons to hop on a bus or train. Public transportation is almost always cheaper than renting a car and paying for gas. And it’s faster than walking so you can cover more ground in a day. In most major cities, public transportation will take you anywhere you want to go. Plus, you’ll never have to worry about parking a car or following street signs written only in Chinese. Just sit back, relax, and enjoy the ride. Depending on where you’re headed, most of your fellow passengers will likely be natives. You can practice your foreign language skills and learn about local culture and sites at the same time. And you never know; the person sitting next to you on the bus might be an English teacher who can help you buy a ticket and jump on your train before it leaves. It happened to me in Moscow. When you’re on a bus or tram, you’ll see parts of the city that may not be featured in guidebooks. You might even uncover an awesome market or hidden restaurant. Before you hop on the train or bus, know the rules and the laws. In some countries, it seems like they’re intentionally trying to trick non-native speakers into buying the wrong ticket so they can catch them and fine them (ahemHUNGARYahem – but that’s a story for another day). Be aware of these kinds of (often legal) scams. Talk to fellow travelers and hostel workers and do your research. When in doubt, ask. Public transportation in general is perfectly safe, but it depends on where you are. Keep your guard up and be cautious; don’t leave your passport (or camera or money) in an easily accessible pocket in your backpack. Keep it in a money belt. One of my biggest pet peeves in DC is the tourists crowding the Metro in the summer, standing on the left and the right. If they just looked around, they’d realize that everyone else is standing on the right and walking on the left. Watch what the locals are doing and mimic them. You’ll fit in more and they won’t be wishing you were back where you came from. The treat others as you’d like to be treated rule applies anywhere. Move out of the way for people who need a seat more than you do – namely elderly, disabled, or very pregnant people. Learn to say “excuse me” and “please” in the native language and if you forget how, saying it in English with an apologetic or friendly look on your face is generally better than not saying it at all. It’s a great place to start, but it’s not always open (and sometimes you need to take public transportation to get there). They’re often located near train or bus stations, though, so it’s worth a shot. If you’re staying at a hostel – or even a B&B or hotel – ask the person at the front desk about the best way to get around the city. Getting around is also a good conversation starter with other travelers who have been in the city a few days. They can share their experiences with you so you don’t repeat their mistakes. If none of these work, most public transportation systems have websites, though they can be hard to decipher in another language and English versions aren’t always available. 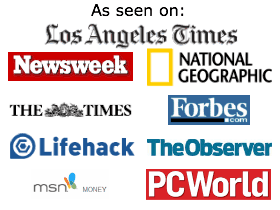 Of course, there’s always Google, traveler websites like TripAdvisor, and online and print travel guides. Click “Get directions” underneath the search box. Enter your desired start and end addresses. Click the “Get Directions button.” Google Maps will find driving directions between the two locations. Click “Take Public Transit” at the top of the left panel to find public transportation routes. This link will only appear when Google has public transit information for that area. In the US try PublicTransportation.org, which includes iPod maps, to and from airports, and cities with light rail, or PublicRoutes. The latter also includes information for London. Getting Around- Public Transportation is the seventeenth post in Go Green Travel Green’s 25 Days to Green Travel series. If you haven’t already, subscribe to our feed (also available via email) and stay up to date. As city girls, we’re proud of the fact that our carbon footprints are naturally a little smaller than those of our friends out in the ‘burbs. We can complain about our 500 sq. ft. studios and dependency on public transit all we want, but maybe we’re looking at this the wrong way. Maybe we need to start feeling proud of the fact that we only need one lamp to fully light every corner of our home. We should sing from the rooftops that despite our discomfort and the need to keep a schedule by taking the bus or the subway means that we’re also helping the environment! Here are some advantages and hidden perks of public transportation. When you travel, what’s your automatic go-to for traversing a new city? For many, it’s a quick cab ride wherever they need to go, or a rented car to help get in and out of the city as they please. When possible, we make it a priority to learn the ins & outs of the public transit system. Though we’re not claiming we love public transit, we can’t deny that there are major benefits to knowing the local options when exploring a new city. Plus, along with being the greener alternative, there are other bonus points as well. Though the convenience of a cab is undeniable, it doesn’t give you much wiggle room to explore the surrounding area. Door-to-door service is perfect when the weather is bad or it’s late at night and you just want to be back at your hotel — always consider your safest option — but on those days when you’re bouncing from neighborhood to neighborhood? Don’t book it so quickly to your destination! Get off the train or the bus and enjoy the blocks between your stop and your destination. Who knows if you’ll find the perfect sidewalk café or the best stop for a wine-break. In a city like New York, it can almost be hard to admit that, in most cases, the subway will actually get you to your destination faster than a cab. This is especially true during the holidays and anytime Barack Obama or Justin Beiber is in town. Getting up close and personal with the local culture. Road trips are great and cab drivers can occasionally be interesting to chat with, but neither one really gives you complete insight into the everyday culture of the city you’re visiting. Riding the metro, you’ll see everything from people on their daily commutes to work to kids on their way to school to people transporting groceries home. You can get an idea of what the neighborhoods along the line are like, and outside the confines of a car, you’re much more likely to witness a few things worth re-telling post-trip. There are many perks of public transportation. But are there negatives to public transit? But when you’re really not loving the smell of the train car you chose or the person you’re stuck standing way-too-close to, think of all the things you can do with the money you saved by not taking a cab. That well-earned glass of wine at your next stop should turn things right around. San Francisco has been recognized and awarded for its efforts in the area of sustainable public transportation. Learn about green public transportation in San Francisco. The San Francisco Municipal Transportation Agency (SFMTA) has changed its focus from just being a transit agency to being a sustainable mobility service provider. The main objective of the transformed focus is to provide the maximum potential with each form of public transportation available, while at the same time reducing the impact on the environment. The BART system has been operating in San Francisco since 1957 and is a heavy-rail and subway transportation system. Approximately 370,000 riders are using this form of transportation daily. The rail system operates on electricity and provides high speed, low emission mobility. About two-thirds of the power to operate the train cars comes from clean hydro or renewable sources. BART has partnered with a company named Bombardier to have new train cars built. The purpose is to update its aging fleet of cars with even more environmentally friendly replacements. CalTrain is a train service that runs to and from the San Francisco Peninsula and the Santa Clara Valley, better known as Silicone Valley. About 47,000 riders use this transportation source each weekday. The Baby Bullet is an express service running between San Jose and San Francisco, which makes only four or five stops along the route which reduces time for commuters. The rail operation has a proposal in process to transform the service to electric, which would reduce the level of noise and pollution. The first phase of the project would begin on the San Francisco to Tamien rails and be completed in 2019. The Muni Metro is a light rail system that serves the San Francisco area. On average, the railway serves about 173,000 weekday riders. The cars are run on an automatic train control system. Although this type of transportation is not the most environmentally efficient, it is transporting many commuters per day, which in turn is cutting down on emissions from automobiles. This program is proposed to create over 100 miles of bike lanes throughout the city. The ultimate result that both the city and the coalition would like to see is 20% of all commutes being traveled by bike by the year 2020. The city has also implemented other ways of making public transportation more appealing and easier for commuters; such as creating the Clipper Card. This card is a reloadable fare card that can be used universally among the BART, CalTrain, Muni, and other transportation systems throughout the city. We love travel apps and anything to avoid consuming paper products, especially guidebooks. The city has created the SFPark app for smartphones and other devices that can give real-time parking availability, public transportation schedules, and rate information. A “smart” parking meter program raises and lowers the prices of parking meters; this is somewhat of an effort to persuade people to travel by other more “green” ways than a car. Some of the city’s parking spaces are even being turned in to green spaces with grass, a sitting bench, and attractive foliage. We love visiting and recommending cities that strive to be green and earth-friendly in any way possible. We also choose green cruise lines, green rental cars, and basically try to plan green vacations. Because of their amazing green public transportation, San Francisco is a great place to visit with kids. In San Francisco, SFMTA’s efforts have resulted in having the lowest multi-modal emissions per passenger in California, have the largest bio diesel municipal fleet in the U.S., the third largest hybrid-electric bus fleet in the U.S., and 55% of the city taxis are now hybrid vehicles. The city is making great strides in going green and hopefully will be a role model for cities around the U.S., both small and large. As airline fares and fees continue to rise, travelers are looking for lower-cost ways to get from Point A to Point B. Trains are scenic, but they’re often more expensive than planes. If you’re in the market for an economical way to travel, the often-overlooked bus might be just what you’re looking for. A bonus: traveling by bus is more environmentally friendly than road tripping in a car. Here’s what you need to know about bus travel in the US. Learn everything you need to know to get around by bus with our quick guide to bus travel in the US. Sometimes you can get great last-minute deals on airfare through websites like Priceline, but bus tickets are different. 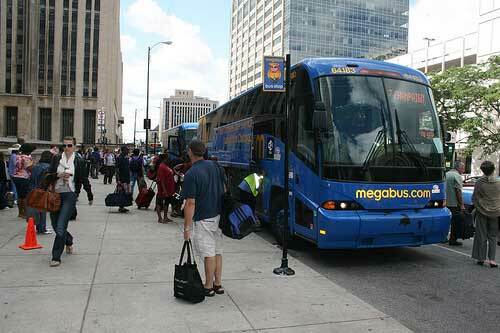 Companies like MegaBus and BoltBus offer dollar fares; if you book far enough ahead, you can travel round-trip for. If you wait until the last minute, however, tickets can be upwards of $40 depending on how full the bus is. Booking early is a great way to save money, but remember that most bus companies do not offer refunds so it’s best to book once your plans are solidified. If you do need to switch dates, you may be able to change your reservations and pay the difference in fare. While it’s true that you can travel across the country on a bus, I suggest using them regionally. For example, a bus trip from Boston to New York is about 4 hours. That definitely beats waiting in the security line at the airport, then waiting for your flight (with possible delays). On the other hand, a bus from New York to San Francisco takes about three days. In that case, flying is the more efficient option. Unless you have unlimited time for travel, sticking to regional bus trips is the way to go. With increased baggage fees on many airlines, many frequent travelers are accustomed to traveling light. Most bus lines will allow just one 50-pound bag, so you’ll want to do your best to pack light. It’s also a good idea to try to put your bag in last, so you don’t have to wait for all of the luggage to be unloaded before you’re on your way. Most bus stations don’t have the extensive security processes that are in place at airports. While this saves considerable time and headache, it’s a good idea to be cautious on the bus and in the bus stations. Beware of pickpockets and make sure you keep your valuables put away unless you are using them. Also, do a little research on the bus station neighborhood before booking tickets. Bus tickets for late night and early morning departures are often cheaper, but make sure that you feel comfortable being at the bus station at that time of day. The cheap fares are tempting, but the Federal government shut down a number of Chinatown bus lines for safety violations, so be sure to do your research. These days many bus companies offer free WiFi. This is a great way to pass the time, but if your electronic devices are dead it won’t be much help. Pick a seat near a power strip, or at least make sure that you’re all charged up before you board. Just as flights run late or get cancelled, buses may be behind schedule or breakdown. Rather than waiting in a classy airport bar, you may be in a sketchy bus terminal, so make sure you’re comfortable with that possibility. All of that said, many people find that the cost and ease of bus travel is worth the occasional inconvenience. If you’re traveling with young children or have to be somewhere at a specific time, you may want to consider other modes of transportation. 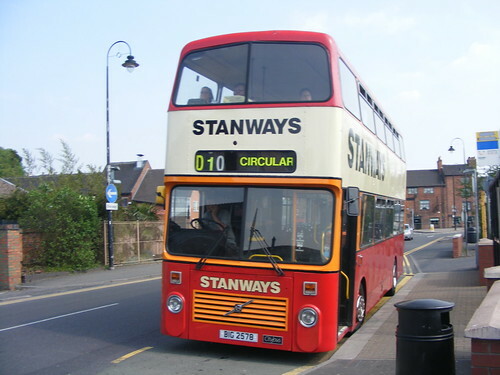 But if you’re flexible and are looking for a cost-effective, eco-friendly way to travel, buses are a great option. 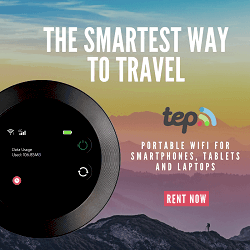 Have you traveled by bus in the United States? Is there anything you would add to our quick guide to bus travel in the US?